This year the Easter school holidays start really late on the 5th April which means that many ski holiday operators are only offering one week at Easter rather than two. Paradoxically this situation where supply is shortened is not correlating with increased demand and prices for that week, presumably as parents will not be instinctively thinking about skiing in April, even though snowfall and the seasons have been getting later and spring skiing is a great option. For example, the mainstream operators such as Crystal Ski are only offering the first easter week starting 5th April for mid-height resorts such as Meribel and Les Menuires in the Three Valleys (for Val Thorens, Europe’s highest resort, they also run the week of 12th April). This means that for this 2013/2014 season there are only three peak weeks – at xmas, new year and half term – for tour operators to make the majority of their profits and to effectively subsidise the other 13 or so weeks of the season. This led Lee Quince, owner of Mountain Base to come up with a genius marketing strategy to encourage parents to take their children on ski holidays outside of these peak weeks by offering to pay any fines that the school or local authority may issue. Previously head teachers were able to grant up to ten days of leave a year for family ski holidays in ‘special circumstances’ but since 1st September last year they are no longer able to grant any absence in term time except under ‘exceptional circumstances‘. This was to tackle truancy but instead it’s resulting in a clampdown on parental freedoms with a negative knock-on effect on the ski industry. In the Telegraph which first reported this, the managing director of travel agent Hays Travel told the BBC last week that schools should stagger their holidays to tackle peak costs and the travel associations Abta and Aito have suggested the same. However in a recent BBC piece the National Union of Teachers warned that letting schools to set different term dates would cause chaos for families booking holidays and allow holiday companies to extend their premium rate periods. In terms of pure economics, that last statement makes no sense. Surely the solution is to do what our continental friends do such as in Germany where school holidays are staggered by each state having a different time for holidays so that demand is spread out across many weeks. The Chamonix based company are currently first in the search engine results page in google.co.uk for the keyword [mountainbase] with the Morzine company currently fourth. However, it won’t be long, as Iain from Skipedia says, before the companies switch in the SERPs. Below is a comparison of the domain authority before the powerful pagerank links, such as the Guardian story from a PR7 page, take effect. Add to that links from the Daily Mail, Times, BBC, Telegraph and AOL it’s going to be interesting to watch the search results from this media maelstrom. 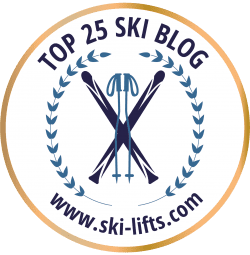 In order to compete, Mountain Base in Chamonix will likely have to get SEO content published on external sites as well as publish content on their own site.